Indian head massage is a super relaxing holistic treatment where acupressure massage is done on the head, face, neck and shoulders. It’s been practiced in India for thousands of years, and it was originally done to improve the condition of the hair and scalp. Indian Head Massage is quite a deep massage that uses a variety of different techniques and pressures, for example circular movements on the scalp, deep tissue work on the shoulders, and some stretching of the neck. 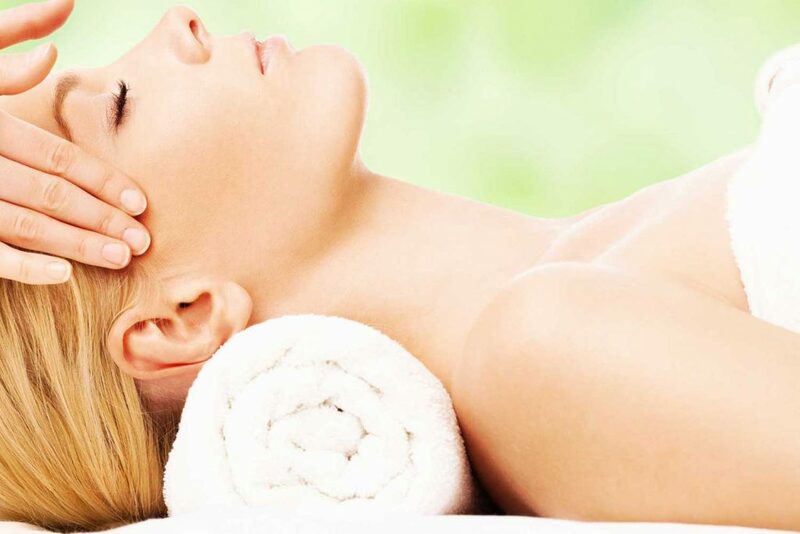 Indian head massage has become a popular addition to spa treatments or rituals, such as massage and facials. It’s a popular choice for relaxing and pampering treatments, and once you’ve had one yourself, you’ll see why your clients love it so much! What can an Indian head massage do for you? The massage targets the mind, body, and spirit chakras, and the aim is to balance the energy. It’s so relaxing that your clients might tell you that they feel a little ‘out of it,’ yet they can also feel alert and able to think more clearly at the same time. Not only that, it relieves aches and pains in the back, neck, and shoulders, that many people have. It also encourages healthy hair growth, relieves stress, promotes good sleep, relieves headaches, reduces anxiety, and improves concentration; all in one massage! They should wear loose fitting clothing which will give you access to their neck and shoulders. Advise clients to remove any hair bands or hair clips, and not to book a treatment straight after they have had their hair done, as oils might be used on the scalp. Usually a treatment will last from 25 to 45 minutes. You should talk to your client about their lifestyle, their medical history, and what type of pressure they prefer. Tell your client that having their head firmly massaged can feel strange but reassure them that they will feel unbelievably relaxed afterwards. Always ask your client if the pressure you’re using during the massage is okay. Your client will probably tell you that they feel incredibly relaxed and serene but warn them that using oils on the scalp might make them look like they haven’t washed their hair in a while, so it’s a good idea to bring something to strategically tie the hair up or cover it until they get where they are going. Want to train in Indian head massage? If you’re thinking about adding Indian head massage to your beauty services, why not train with us?